The Philippine Crocodile is nationally protected by law since 2001 (Republic Act 9147: the Wildlife Act). Killing a Philippine Crocodile carries a minimum penalty of six years imprisonment and/or a fine of 100,000 Pesos (approx. $US2500). The protection of crocodiles and conservation of their habitat is the responsibility of the Protected Areas and Wildlife Bureau (PAWB) of the Department of Environment and Natural Resources (DENR). A National Philippine Crocodile Recovery Team was established in 2000 (Banks 2000a) consisting of scientists, Government representatives and representatives of two foreign captive breeding programs in Melbourne Zoo and Gladys Porter Zoo. A National Recovery Strategy was published in 2000 (Banks 2000b) and updated in 2005 (Banks 2005). A national forum on crocodiles in the Philippines was held in February 2007 (Anon 2007, Ross 2008). Government maintains the Palawan Wildlife Rescue and Conservation Centre (PWRCC), formerly the Crocodile Farm Institute (CFI), which has been breeding C. mindorensis in captivity since 1987. The Mabuwaya Foundation and the PWRCC have reintroduced 50 crocodiles into Dicatian Lake in Isabela in July 2009 and maintains about 750 Philippine crocodiles in 2009. Captive stocks in the Philippines are all held by Manila Zoo, Avilon Montalban Zoo, Malabon Zoo, Cebu City Zoo, Zoobic Safari, Ocean Park Manila, Davao Crocodile Park, and a number of private crocodile farmers and individual collections. Silliman University has maintained a captive breeding program and Philippine crocodile research program since 1980 (Alcala 1997). Internationally, three captive breeding programs operate under a Memorandum of Agreement with the Philippine Government. These are administered by Melbourne Zoo (Australia), Gladys Porter Zoo (USA) and the Krokodille Zoo (Denmark). A number of facilities in the USA and Europe have Philippine crocodiles on loan under these programs. In addition, illegally exported Philippine crocodiles are maintained by an unknown number of facilities and individuals outside the Philippines. In-situ conservation of Philippine Crocodiles only seriously started in 1999 after the discovery of a remnant C. mindorensis population in Isabela Province. 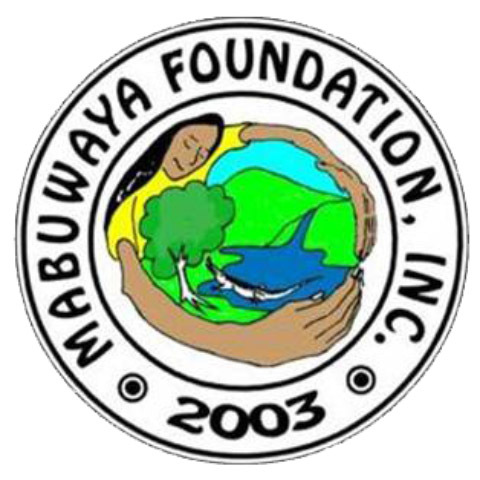 Isabela State University and Leiden University of the Netherlands are implementing a Philippine Crocodile research and conservation project here and have established the Mabuwaya Foundation. The Mabuwaya Foundation has used a combination of communication, education and public awareness campaigns, community empowerment and local capacity building to implement localized protection strategies in the municipality of San Mariano (van Weerd et al. 2004, van Weerd and van der Ploeg 2004, van der Ploeg and van Weerd 2006, van der Ploeg et al. 2008). Using the decentralized law system of the Philippines, the municipality of San Mariano has declared the Philippine crocodile their flagship species and has enacted municipal ordinances that protect crocodiles. This has led to the establishment of three Philippine crocodile sanctuaries protecting Dunoy Lake, Disulap River and Dinang Creek. A local protection group consisting of farmers and fishermen has been trained to manage the sanctuaries (Miranda et al. 2004, van der Ploeg and van Weerd 2004). In order to increase hatchling survival rates and assist a recovery of the Philippine Crocodile population in San Mariano a head-start program successfully raises and releases juveniles (van Weerd and van der Ploeg 2008). The municipalities of Maconacon, Palanan and Divilacan, Isabela Province, have also declared Philippine Crocodile sanctuaries in the Po River, Dibukarot Creek and Dicatian Lake respectively. In July 2009, 50 PWRCC captivebred crocodiles were reintroduced back to the wild in Dicatian Lake, which is protected as a village crocodile sanctuary but is also situated in the Northern Sierra Madre Natural Park, the largest protected area of the Philippines. Elsewhere, the Mabuwaya Foundation and Isla Biodiversity Conservation are implementing community-based Philippine crocodile conservation on Dalupiri Island (Oliveros et al. 2006). The University of Southern Mindanao (USM) is implementing a Philippine crocodile research and conservation project in Ligawasan Marsh. Philippine Crocodile releases in wetlands on private land in Mindanao took place in 2009. On Mindanao, a small nucleus of captive specimens obtained originally from Silliman University and the Palawan Wildlife Conservation Center in 2006 are held in Pag-asa Farms, a private facility, under semi-natural conditions in a large enclosure where the animals feed themselves on naturally occurring prey (rats and birds) and successfully breed. Offspring from this source have been raised to 1-2 years and approx 1m length, in semi-natural large enclosures and 36 released in 2013 on a protected freshwater marsh on Saigao Island (Mercado et al. 2013). The future of the Philippine Crocodile looks much brighter since the publication of the last status report in 1998. Still it will take years before the (sub)population(s) will recover to viable non-threatened levels. 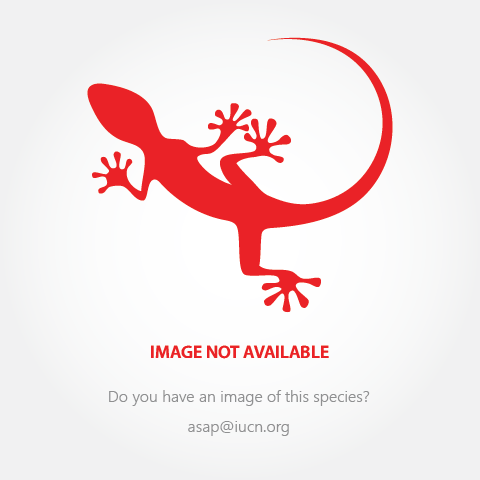 The challenge for the coming years will be to sustain conservation efforts. Philippine Crocodile specimens have been collected from the islands of Luzon, Mindoro, Masbate, Samar, Jolo, Negros, Busuanga and Mindanao (Ross 1982, Ross and Alcala 1983) suggesting that historically C. mindorensis was widely distributed throughout the archipelago and probably occurred on all larger Philippine islands. The probable exception is the island of Palawan which is biogeographically more similar to Borneo than to the other Philippine islands. A reported nest of a palustrine crocodile on Palawan (Schultze 1914) probably refers to C. porosus as it contained 30 eggs that were all considerably larger than the largest known wild C. mindorensis eggs. The report of a small introduced C. mindorensis population on Palau is known to be in error (Messel and King 1992a). Published information on the distribution of C. mindorensis remains rare, although much more information on the current distribution and status have become available since 1998. C.A. Ross conducted surveys in southern and central Philippines (Mindanao, Visayas and Palawan) in 1981 (Ross 1982, Ross and Alcala 1983) and published an account on crocodile observations in northern Philippines (Dalupiri Island) in 1990 (Ross 2005). Ross (1982) and Ross and Alcala (1983) has also inventoried museum specimen collection localities, which provide the best source of information on the historical distribution of crocodiles in the Philippines. Aoki (1985) observed C. mindorensis on Mindoro during the mid-1980s. Alcala et al. (1987) collected information on crocodiles on Negros. Ortega (1998) added information gathered during the 1990s, mainly from secondary sources (Ortega et al. 1993, 1994; Ortega 1998). Rebong and Sumiller (2002) reported on capture localities of the Philippine Crocodile in the wild in 1992 on Mindanao and Busuanga for the captive breeding program of the Crocodile Farm Institute (CFI). Pontillas (2000) conducted targeted surveys in areas with historical and recent accounts of crocodiles on Luzon, Mindoro, Busuanga and Mindanao in 1999 and 2000. Manalo (2008) conducted crocodile surveys in Abra Province on Luzon. Since 1999 surveys have been conducted in northeast Luzon (van Weerd 2000, 2002; van Weerd and van der Ploeg 2003; Tarun et al. 2004; van Weerd et al. 2006). Oliveros et al. (2005, 2006) conducted surveys on the Babuyan islands. Pomares et al. (2008) conducted surveys in Ligawasan Marsh on Mindanao (see also Van der Ploeg et al. 2007). A recent report Manolo et al. (2013) confirms the presence of C. mindoresis at Lake Sebu in Southern Mindanao and 36 captive raised juveniles from Mindanao stock were released in Paghongawan marsh or Siargao island protected landscape off the north coast of Mindanao (Mercado et al. 2013). The species survives only on Dalupiri island, Northern Luzon and Ligawasan marsh on Mindanao. Dalupiri: Crocodiles were observed in 1990 by Ross (2005) on Dalupiri Island (part of the Babuyan island group north of Luzon). In 2005 an adult female C. mindorensis was caught and released in Caucauayan Creek and tracks of two different sized juveniles were found (Oliveros et al. 2006). Subsequent surveys failed to find more crocodiles and the adult Philippine crocodile population on Dalupiri probably consists of at most one pair. Luzon: Cordillera Mountains. In 2002 four captive C. mindorensis were found in a mini-zoo in Bangued, Abra Province, Cordillera Mountains, and the source of these animals was identified as Binungan River in the municipality of Tineg, Abra (Manalo 2008). Field surveys recorded tracks of 12 juvenile and two sub-adult crocodiles in a limestone stretch of the river with caves at 850 m above sea level. No surveys have been conducted there since 2002. It is likely that a small C. mindorensis population continues to survive here. Reports of crocodile sightings elsewhere in the Cordillera, notably from Apayao and Abra Provinces need confirmation. Cagayan Valley, the Sierra Madre Mountains and the Pacific Ocean coast. In 1999 Van Weerd (2000) found C. mindorensis in Cagayan Valley in the foothills of the Sierra Madre Mountains, municipality of San Mariano, Isabela Province. This wild population has been the target of conservation action by the Mabuwaya Foundation since then (van Weerd and van der Ploeg 2004). Crocodile distribution, population size and population growth have been monitored annually (van Weerd et al. 2006). 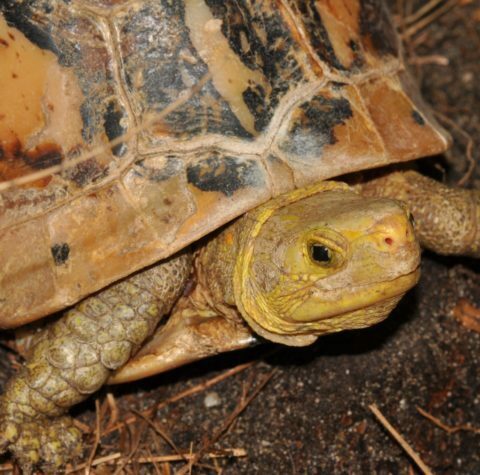 In 2008, 10 adults, 41 juvenile/sub-adults and 35 hatchlings were counted. Crocodiles dynamically use ponds, lakes, creeks and larger rivers in three distinct areas: 1) Dunoy Lake, Dungsog Lake, Narra Lake and Catalangan River (Catalangan River area); 2) Diwakden Creek, Diwakden Lake and Disulap River (Disulap River area); and, 3) Dinang Creek, Diamallig Creek and Ilaguen River (Ilaguen River area). Since 2007, the growing population of crocodiles has started to disperse and occupy new wetland areas in San Mariano. If the observed population recovery continues favourably, the non-hatchling Philippine crocodile population in San Mariano is expected to reach 100 individuals in 2010. Philippine Crocodiles also occur on the eastern side of the Sierra Madre Mountains along the Pacific coast in the Northern Sierra Madre Natural Park, Isabela Province. The Sierra Madre physically separates these crocodiles from San Mariano. 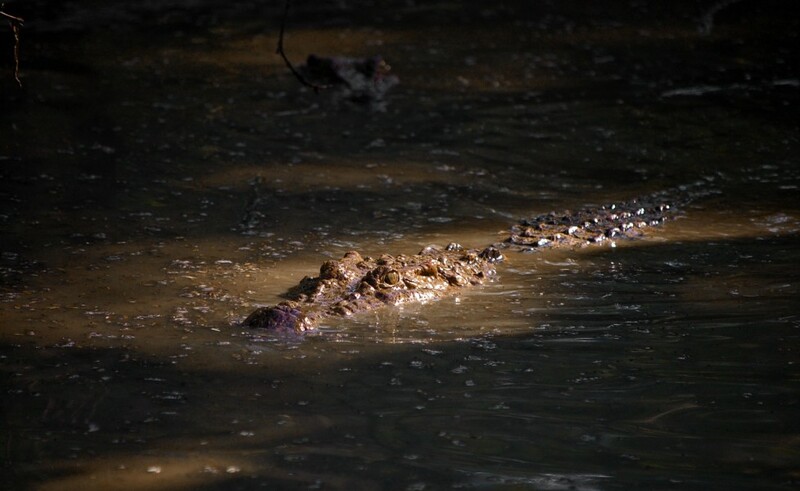 A very small population of probably only one pair of adult crocodiles and several juveniles is found in Dibukarot Creek in the municipality of Palanan. Crocodylus mindorensis has also been found in several littoral creeks and rivers in the municipalities of Maconacon and Divilacan. An adult was caught and released in Po River in Maconacon in 2005. A small breeding population permanently occupies Divilacan River, where two juveniles were caught and released in 2009. Fifty captive-bred, sub-adult C. mindorensis were released in Dicatian Lake, Divilacan, in July 2009 but the success of this attempt is uncertain (C. Banks pers. comm). Mindanao: North and Eastern Mindanao. No recent C. mindorensis observations have been reported from North and Eastern Mindanao. Prior to 1982, Philippine Crocodiles were known to occur in Surigao del Norte and in the headwaters of Agusan Marsh in the municipality of Nabunturan, Compostela Valley Province. Ross (1982) reported the killing of three juvenile C. mindorensis here in 1979. 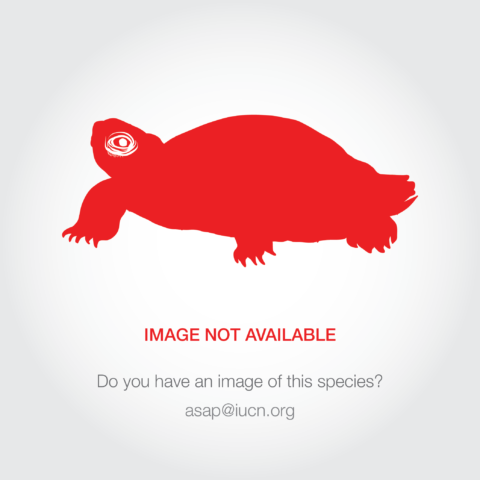 Although no C. mindorensis specimens have been collected from Agusan Marsh itself, Ortega (1998) reports a captive live adult individual on display in the provincial capital (Prosperidad) in 1994. It is not certain whether this individual originated from the marsh. Surveys in 1994, 1998 (Ortega 1998) and 1999 (Pontillas 2000) failed to locate any C. mindorensis but did find a small population of C. porosus in Agusan Marsh. Specimen have been collected prior to 1982 from the municipality of Tagum, Davao del Norte Province, and the municipality of Malita, Davao del Sur Province (dates and localities unknown; Ross 1982). In 1992, in northwest Mindanao, the CFI caught a wild sub-adult C. mindorensis in Lanao del Sur (locality and municipality unknown), a sub-adult in the municipality of Malabang, Lanao del Sur, an adult in Lanao del Norte (locality and municipality unknown) and a hatchling in the municipality of Bonifacio (Misamis Occidental) (Rebong and Sumiller 2002). Ross (1982) reports a sighting of C. mindorensis in Calarian Lake, Zamboanga City, in 1979, and a captive animal said to originate from the vicinity of Pagadian City in 1981, both Zamboanga Province. No recent crocodile surveys have been conducted in northwestern Mindanao. Specimens of C. mindorensis have been collected from Ligawasan Marsh in the provinces of North Cotabato and Maguindanao before 1981 (Ross 1982). Ross (1982) reports examining a live juvenile from Macasendey Marsh, part of Ligawasan Marsh, in the municipality of Midsayap (North Cotabato) in 1981. In 1992 the CFI caught four wild crocodiles in Ligawasan Marsh (Rebong and Sumiller 2002): an adult in the municipality of Carmen (North Cotabato), a juvenile in the municipality of Dinaig (Maguindanao) and two hatchlings in the municipality of Lutayan (Sultan Kudarat). Pomares et al. (2008) report sightings of C. mindorensis from various localities in the municipalities of Kabacan and Carmen (North Cotabato) in 2007. Crocodylus mindorensis is also known from the headwaters of Ligawasan Marsh. The CFI caught a sub-adult and a hatchling C. mindorensis in the municipality of Kidapawan (North Cotabato) in 1992. Pontillas (2000) reports a breeding pair from Pulangui River (Bukidnon) in 1999. In October 2007 (Van der Ploeg et al. 2007), an adult C. mindorensis and a nest were found along Muleta River in the municipality of Carme (North Cotabato)). Pomares et al. (2008) report sightings in 2007 of C. mindorensis from the municipality of President Roxas (North Cotabato) and from Pulangui River (Bukidnon). Reliable C. mindorensis population estimates are not available from Ligawasan Marsh but is has been established beyond doubt in 2007 and 2008 that there is a breeding population with a relatively large distribution in the marsh itself and its tributaries. Thirty six juvenile individuals were released to a protected area on Siargao island in 2013 and Manaolo et al. 2013 estimated no more than 11 adults wild in five small upland lakes in lake Sebu, Mindanao. Other islands with historical but no recent sightings are Negros, Mindoro, Samar, Masbate, Busuanga, Jolo. Before 1999, C. mindorensis occurred in the Pagatban River in Negros Oriental (Ross and Alacala 1983) and in Sta. Catalina and Ilog River in Negros Occidental (Alacala et al. 1987). It is believed that the Philippine crocodile is now extinct in the wild on Negros (Ely Alcala, pers. comm. 2007). The type specimens of C. mindorensis were collected from the vicinity of Naujan Lake in Mindoro Oriental. No Philippine crocodiles have been reported from the lake itself, only C. porosus. Crocodylus mindorensis has been reported from the Caituran River on Mindoro (Aoki 1985) but recent surveys failed to find it and the species is thought to be extinct on Mindoro Island (Pontillas 2000). Philippine Crocodile specimens have been collected from the islands of Masbate and Samar prior to 1981 (Ross 1982). Both islands have not recently been surveyed for crocodiles. The Philippine crocodile occurred with certainty on Busuanga Island, part of the Calamian Islands north of Palawan. Philippine crocodiles have been collected from Dimaniang (Schmidt 1956), and the Dipuyai and Busuanga Rivers (Ross and Alcala 1983, Ortega 1998) with the last certain observation in 1993. Pontillas (2000) failed to find surviving C. mindorensis on Busuanga and the species is now thought to be extinct there. Historically, specimen have been collected prior to 1981 from the island of Jolo, part of the Sulu archipelago in Sulu Province (Ross 1982). No recent surveys have been conducted. Habitat use by rural people, persecution, and entanglement in fishing nets are the main threats to this species.